The Ndebele tribe or amaNdebele, one of the smaller ones of the Nguni speaking tribes that migrated to South Africa, were the first Nguni speaking people to move into the interior of the country instead of the coastal areas. Once a single nation calling themselves the amaNdebele under the leadership of their last monarch King Musi, they moved away from the Nguni speaking population who had settled themselves in the KwaZulu coastal regions. This happened within the first half of the 1600s, well before the Mfecane (Zulu) or Difaqane (Sotho). 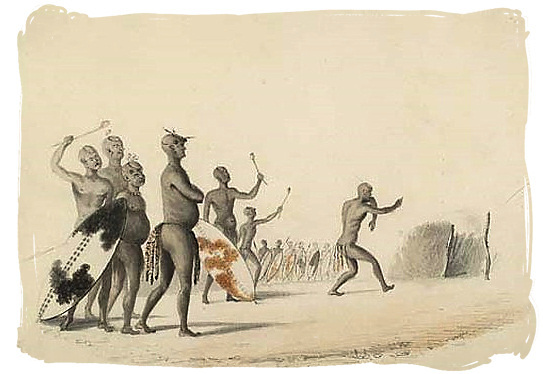 It was a time of wide-ranging pandemonium and warfare amongst the tribes in South Africa, especially during the period between 1815 and 1840. The amaNdebele settled themselves in a wide region around the towns known today as Polokwane (previously Pietersburg) and Mokopane (previously Potgietersrus). Because of a serious internal conflict the Tribe divided into two groups, known today as the Northern Ndebele and the Southern Ndebele. 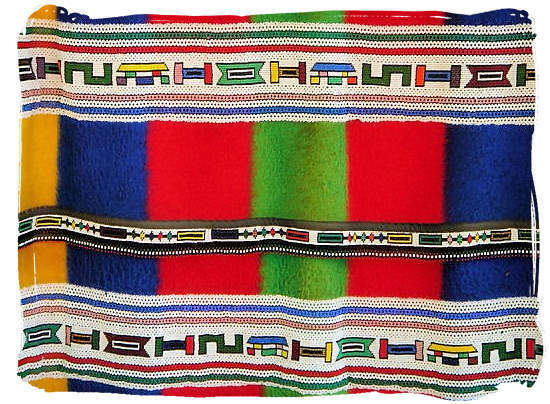 The Northern Ndebele stayed in the region where they already had established themselves, while the Southern Ndebele moved southward and settled in the Highveld region in the Mpumalanga province. 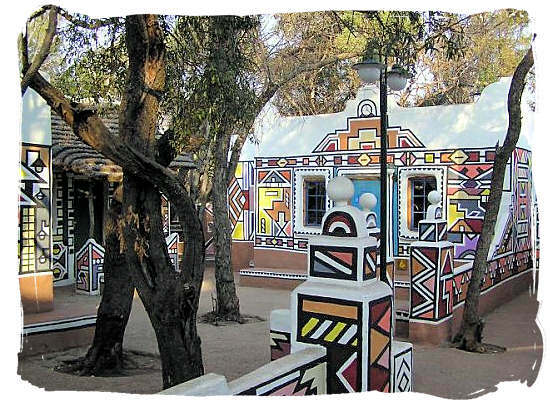 However, the present-day Ndebele population does include a third group Nguni migrants, who arrived in the Pretoria and Highveld region much later, in the 1820s. They were a group of Zulus under the leadership of Mzilikazi, one of Shaka’s army generals and became incorporated in the Southern Ndebele tribe. Trained in the new Zulu warfare tactics and being a formidable warrior, he took control of the Southern Ndebele. He used his knowhow to great effect in campaigns across the Highveld region, overpowering the Sotho and Tswana clans that were living there. Their numbers grew rapidly by the absorption of these clans and by 1835 they embarked on assaults as far away as Swaziland and the Limpopo province. In 1836 the Boer voortrekkers began to arrive in the same area where Mzilikazi and his people were living. To them the Ndebele were a major threat and so they went to war against them. Mzilikazi and his Ndebele were no match for the Boers however, and they suffered a massive defeat. 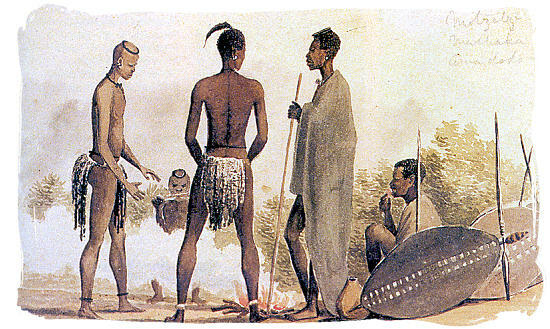 In the end Mzilikazi and his Ndebele were forced to flee from the region. 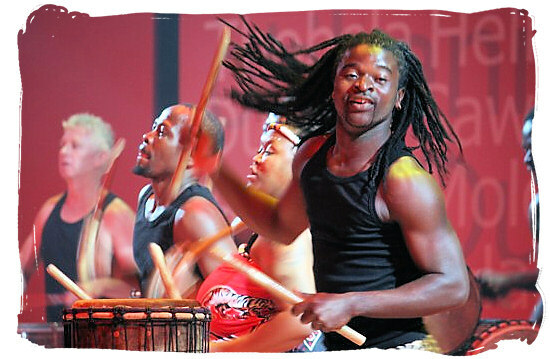 They migrated across the Limpopo river into present-day Zimbabwe. There they settled in the region between the Limpopo and Zambezi rivers. 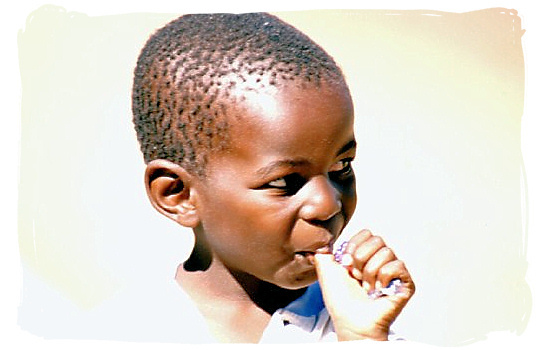 Today they are known as the Matabele and the region they live in as Matabeleland. 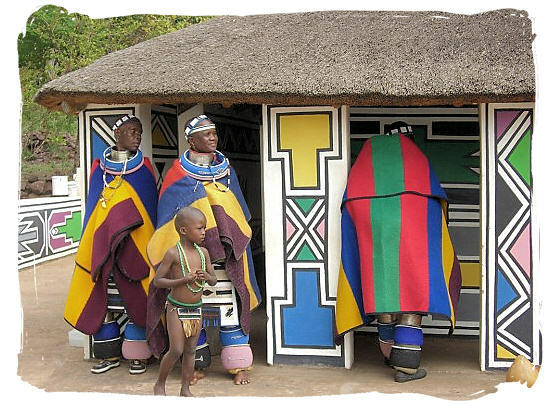 Although the majority of the Ndebele moved into Zimbabwe following Mzilikazi, a number of them did stay behind in South Africa in the area that became known as the Kwandebele homeland during the apartheid years. You will find their descendants still living there today. Because of the intermingling of the Northern Transvaal Ndebele with their neighbours the Sotho and Tswana people, the use of their original language has slowly faded away, to make place for the Sotho Language and culture. Today the new generation mostly speaks Northern Sotho. 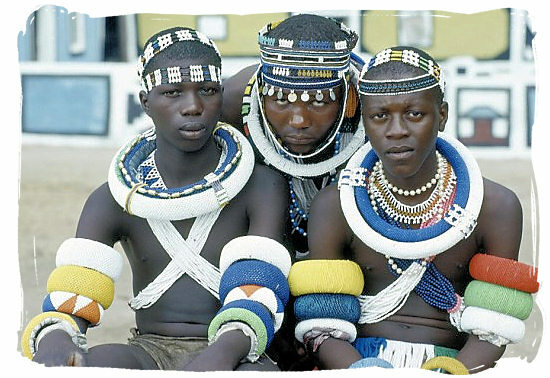 Today the Ndebele population in South Africa is mainly rural, and many young men leave to seek work in the major centres in the Gauteng province. 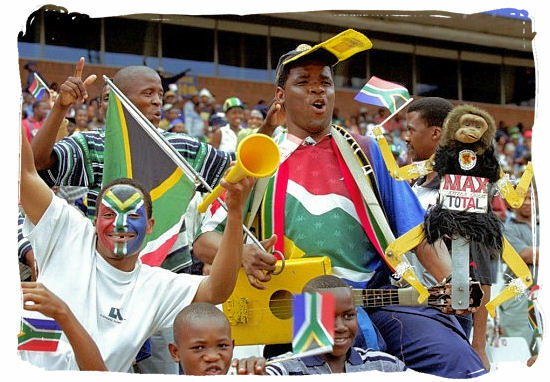 Compared to the Zulus and the Xhosa, the Ndebele are a small nation of approximately, 703,906 people (Census 2001) living in South Africa, about 1.6% of its total population. 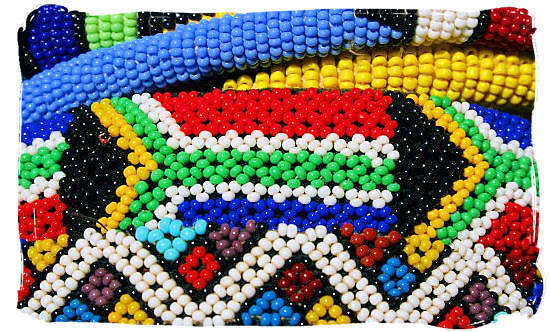 They are nevertheless one of the most colourful and hence eye-catching tribes across the whole continent of Africa, renowned for the vivid and bright geometric designs with which they beautify their homes, their beautiful traditional clothing, and their delicate and skilful beadwork. The women are generally the ones that do the actual painting, inspired mostly by the beadwork that the majority of them adorn themselves with, with vivid polygonal shapes. In the present-day situation they are also strongly influenced by modern aspects such as cars, airplanes, telephones and swimming pools, usually highlighting the aspirations of the artist. 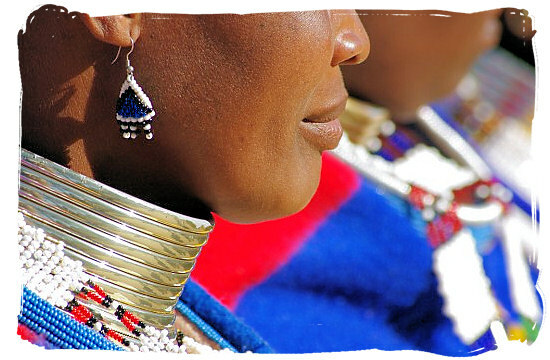 Weaving is another traditional Ndebele craft form, whereby they work with dried grass to create necklaces, bracelets, and mats. 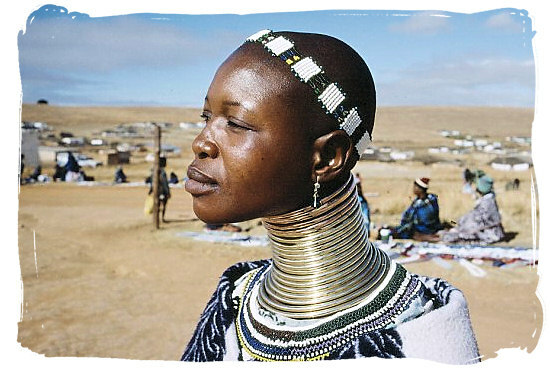 The Ndebele women are also famous for their tradition of wearing thick brass rings around their necks and legs, reflecting their wealth. In some areas they still continue to wear them today. The weighty brass rings are usually added to through the years which in most cases has the effect of lengthening the neck.